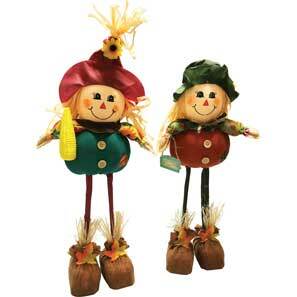 • Plump scarecrows with skinny legs stand on their own two feet. • Measures 20 inch overall height. • Packed 12 per case, $2.90 each.